This from the UW Police: It has come to our attention that a number of UW students, faculty, and staff have been the recent target of multiple phone scams. The individuals who have received these calls are told that they owe taxes to the Internal Revenue Service and must pay immediately, or face consequences. The caller continues the conversation with threats to arrest or deport you if you do not pay them immediately using gift cards, “Reloadit” or another pre-paid credit card. 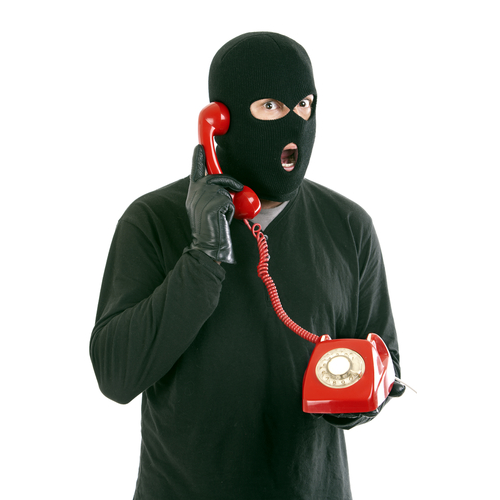 UWPD warns that these callers, claiming to collect debt, are not who they claim to be even if the phone number they call from appears legitimate and they may try to instill fear in potential victims to persuade them to forward money. Do not give out cash card or credit card numbers or other personal financial information over the phone if you did not initiate the contact. Does not call citizens seeking payment for tax bills either state or federal taxes. Nor does any other legitimate law enforcement agency. Does not call individuals and demand money from citizens under any circumstances or threaten to arrest or deport you for not paying. We have learned that other universities have reported the same multiple scams. If you actually become a victim of such a scam on our campus, please file a non-emergency police report with the UWPD, by calling 206-685-UWPD (8973). If you have further questions, please contact the UWPD Community Outreach Unit at 206-616-0873. If you are in another jurisdiction please report the incident(s) to your local law enforcement agency such as your police department or county sheriff’s office. In addition to the phone scams referenced in threads on this list-serv and Chief of Police John Vinson’s email of this afternoon, we have seen a recent increase in employment-related scams being directed at members of the University of Washington community. Some are sent directly to UW email addresses (information gained through the Directory or other resources), and although we screen vigilantly for postings coming into our HuskyJobs system, two have recently appeared there. While we have established even stricter review guidelines in response, scam employment postings are an unfortunate reality nationally as well as here at UW. As part of our ongoing commitment to keep our students educated, employed and safe, we’ve created a website devoted to Identifying Scam or Fraudulent Job Postings: http://careers.uw.edu/Students/Scam-and-Fraudulent-Job-Postings.